Similarly priced to the 2014 Nissan Rogue, the 2014 Honda CR-V has a few more standard options that may make it a more appealing pick to more drivers. Here’s a rundown of some of these more exclusive features. Making things easier for the driver and their family is one of Honda’s biggest goals. Even the smallest features such as a remote power tailgate unlock can make throwing the groceries in the trunk a little easier. All CR-V models comes standard with a power unlock on the tailgate, while this feature is unavailable on the 2014 Rogue. Let’s run through a few more features that are standard on the CR-V that do not come standard on the Rogue. CR-V LX models also come equipped with rear audio controls, allowing the backseat to adjust the sound system to their needs without bothering the driver. The comparably price Rogue SL is not available with this feature. 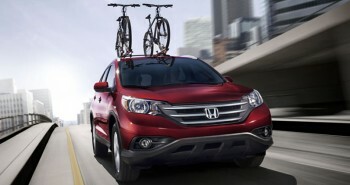 Compared to the Rogue, the Honda CR-V also excels when it comes to performance. All models come equipped with 185 hp four-cylinder engine versus the 170 hp four-cylinder engine on the Rogue. The CR-V is a great fit for anyone looking for a reliable crossover. You can see why it has gained a reputation as one of the best picks in its class by taking it for a test drive at Middletown Honda! Middletown Honda is located at 520 Route 211, on the west side of Middletown, just a quick drive from Mechanicstown and many other communities around the Orange County area. If you would like to learn more or have any questions, please feel free contact our Honda dealership.